General Henry D’Urban Keary, intending to squeeze Ishan’s 15,000 men between both his and (he presumes) a pursuing Russian Persian force, shifts towards the new Turkish position at the foot of the Jabal Hamrin mountains. Unbeknownst to Keary however the February Revolution in Russia has broken out, bringing a halt to Russian operations in Persia. In short his is the only force pursuing Ishan – with significant consequences. Meanwhile 4,500 men of Ishan’s force proceed to dig secure lines on high ground behind two canals among the mountains. Keary’s preparations to storm the Turkish lines are not undertaken in secrecy with the result that when the British attack finally begins (having first laboriously navigated both canals) they find the Turkish defense is well prepared. At 01:15 the 9th Brigade under the command of General Campbell arrives at the lower edge of the foothills and bivouacs. At 05:30 the brigade advances into the foothills in diamond formation with the 2nd Dorsetshire Regiment leading, the 1st/1st Gurhka Rifles on the left and the 105th Mahrattas on the right, the 93rd Burma’s to the rear and the 133rd Company Machine Gun Corps, Pioneers and Brigade Headquarters in the center. The Dorsetshire Regiment gains a forward crest line with only slight opposition. Advancing to the next crest about two and a half miles up they come under heavy fire. At 06:30 General Campbell detaches machine guns to support the Gurhkas and four guns to support the Dorsets. Two gun crews find themselves too far ahead and are killed during a Turkish counter-attack which drives the Dorsets back about 600 yards. By noon it becomes obvious no progress can be made and a withdrawal is ordered two and a half miles back to the position held the previous day. The attack is a failure, with British infantry casualties numbering 122 killed, 726 wounded and 316 missing while Ishan’s force manages to escape southwest, headed for Turkish forces sited on the River Tigris. Jabal Hamrin will be occupied in less than one week. With the path northwest now clear of Turkish forces General Keary continues onwards to meet up with his Russian allies in the first week of April. What he finds is approximately 3,000 discontented Russians apparently unwilling to fight; as a result he will turn around and rejoin the main advance upon Samarrah. Lieutenant Colonel Ernest Richard Ingles Chitty (commanding 105th Mahratta Light Infantry) is killed at age 48. Major Frederick Edward Thornton (Mahratta Light Infantry formerly Royal Scots Fusiliers) is killed. He is the son of the Reverend Canon F S Thornton JP Rector of Downham. Lieutenant Charles Stewart Vane-Tempest (Durham Light Infantry) dies of wounds at age 20. He is the great grandson of Charles William Vane 3rd Marquess of Londonderry. Lieutenant John Solomon Riddell Hodgson (Dorsetshire Regiment) killed at age 20. He is the son of Harold Hodgson, JP. 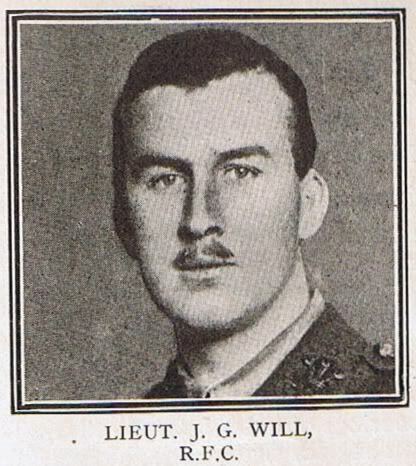 Lieutenant Allix James William Griffith (Dorsetshire Regiment) is killed at age 22. He is the son of the Reverend Henry Wagner Griffith Vicar of Thorp Arch. Lieutenant Robert William Stewart (Quebec Regiment) is killed on the Western Front at age 26. His brother will be killed in November of this year. Second Lieutenant Harold Edward Hussey (Devonshire Regiment attached Manchester Regiment) is killed. He is the son of the Reverend James Hussey. Second Lieutenant George King Hicks Cochrane (Indian Army Reserve of Officers attached Gurkha Rifles) is killed at age 22. His brother will die on service in December 1918. Second Lieutenant Ralph Leslie Sargeant (Somerset Light Infantry) is killed at age 26. His brother will be killed in October. Second Lieutenant Bernard Moore Blakeston (Indian Army Reserve of Officers attached Gurkha Rifles) is killed at age 25. He is the son of the Reverend Luke Harrison Blakeston Vicar of Womersley. Private Joshua Prentice (East Surrey Regiment) dies of wounds on Salonika at age 23. His brother will be killed in October 1918. Private Albert George Kiver (Devonshire Regiment) dies at age 42. His brother will die on service in February 1919.